The funeral service of Nabil Mansour at Mar Girgis church in Kozzika, Helwan. 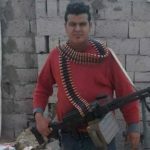 Nabil Saber Ayoub Mansour became the eighth Egyptian Coptic Christian to be murdered in El-Arish, northern Sinai, this year in what appear to be linked killings. He was shot dead by four masked men on 6 May. Mansour, 40, was in El-Arish for a brief visit (contrary to media reports that said he had returned there to work). His family had fled to Port Said following a string of murders there earlier this year targeting Copts. The seven others died between 30 January and 23 February. After the killing of two of the victims, the murderer was seen ticking their names off a hit list. This latest attack comes at a time when a local affiliate of Islamic State, known as Sinai Province, is seeking to impose its hardline interpretation of Islam on the local population around El-Arish for the first time. 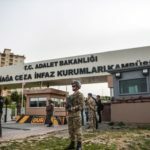 According to the group’s videos they have created a morality police force, known as Hisba, to enforce strict rules against such behaviour as smoking, men shaving their beards or women exposing their faces. Mansour’s wife, Halla Qadry Fares, 32, had stayed in Port Said with their two children, Bishoy, 12 and Paula, eight. Nabil Mansour (left) was a deacon at St. Mary and St. Michael Church, El-Arish. According to his brother-in-law, Moheb Qadry Fares, Mansour returned to El-Arish on Tuesday 2 May because his son Bishoy’s new primary school in Port Said needed to see a certificate proving that Bishoy had taken his final-year exams. When he arrived in El-Arish, Mansour went to his home in Atef El-Sadat district, planning to visit the school the next day. “On Wednesday morning, Nabil headed to Bishoy’s school in Arish to get the required certificate, but, because of the routine in all the governmental institutions, they told him that he couldn’t get it on the same day. It takes two days, at least, for them to issue it, so they asked him to come again on Saturday, Friday being a holiday in Egypt,” said Fares. Mansour collected his son’s certificate on Saturday and then went home to rest, planning to return to Port Said early the next day, 7 May. On Saturday 6 May at about 4pm, Mansour, a barber and grocer, checked his shop and did a stock-take. At 4:30 his wife called him and he went out to the street for a better cell-phone signal. Mansour’s neighbours witnessed the attack, later telling Fares what happened. Fares told World Watch Monitor that during the phone call, four masked, armed men shot him with four bullets: two in the head, one in the stomach, and one in the shoulder, instantly killing him. While they were shooting him, they were asking: “Why do you return back again, oh Kafir?” After shooting him, they took his ID card and his cell phone and fled. 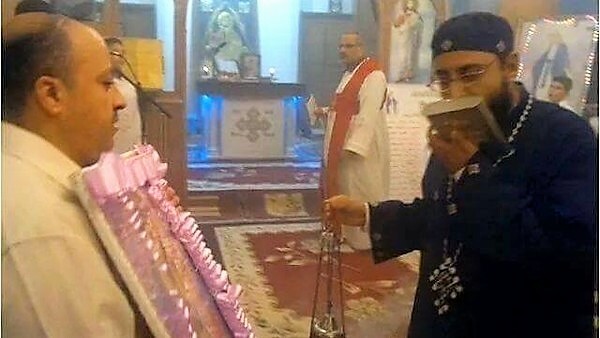 He added that police were also guarding the Church of Saint Mary and Saint Michael (also known as ‘the cathedral of Arish’) behind Nabil’s home. 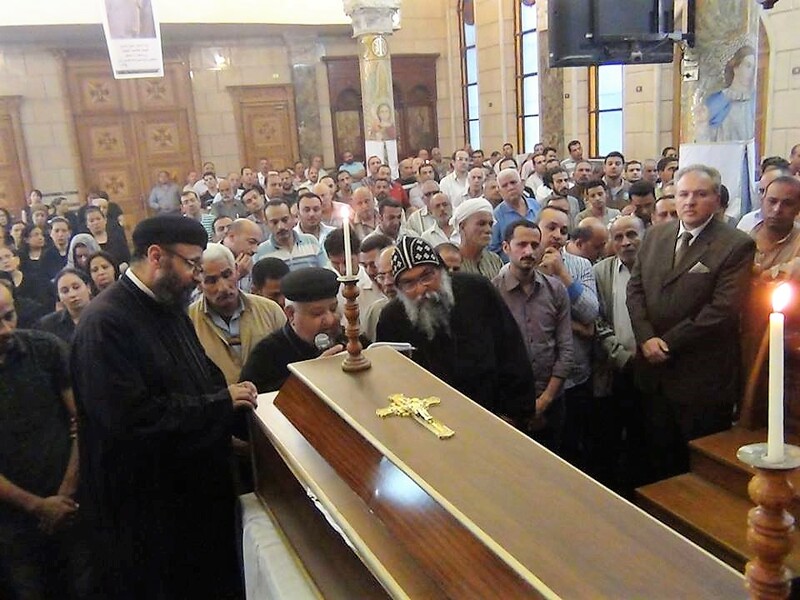 Mansour’s funeral, held at Mar Girgis church in Kozzaika, Helwan, was attended by Daniel, Archbishop of Maadi (a suburb of Cairo), and Bishop Qazman of North Sinai, in addition to family and friends. Mansour, a deacon at the Church of Saint Mary and Saint Michael near his home, was later buried in the family cemetery, Tura al-Balad. “Nabil was a good deacon and one of [the Church’s] honest sons. He was very meek, quiet, humble, peaceful, and he had a strong relationship with God. He was loved by all”. Noam went on: “Murdering Nabil at this time is a clear message from those militants that they don’t want any Copts in El-Arish, and a clear threatening message to all the Copts who fled El-Arish that …if anyone of you return to El-Arish, his fate would be like the fate of Nabil”. Since the death of Mansour, Fr. Noam said, some of the Christian families who chose not to flee El-Arish in February have now decided to leave the city.